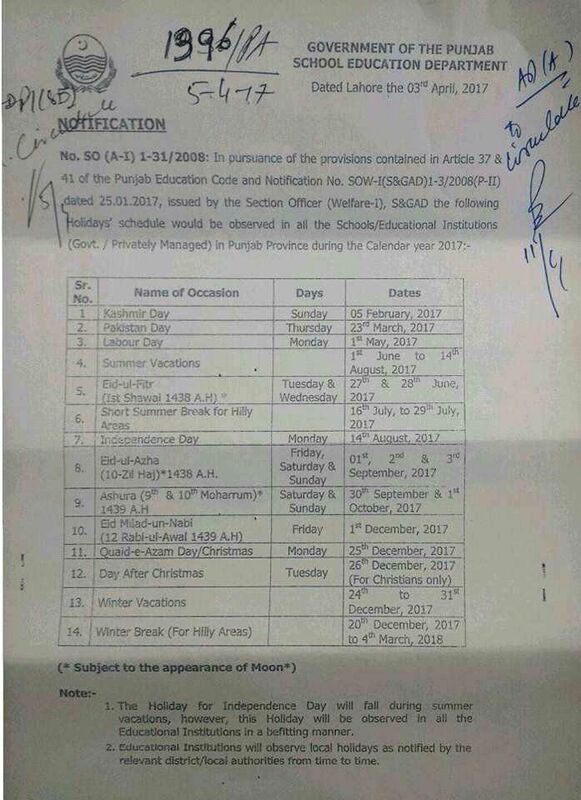 SED Punjab Has Issued Notification Regarding Annual Holidays Schedule. Summer Vacations Would Be Observed w.e.f. 1st June To14th Aug 2017. According to the circular the Summer holidays will be held from June 1st to 14th August 2017. 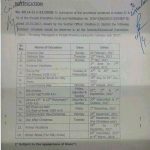 While latest news published in daily Nawaiwaqt Multan has told that the the Summer vacation may be start from 23 May 2017 due to hot weather and start of fasting month of Ramazan ul Mubarak 1438AH.